The basics of a tooth are divided into two parts: the root and the crown. The root is protected by healthy teeth and gums below the gum line. The visible portion of your teeth are known as crowns. So, when the visible portion of your tooth becomes damaged, your Lancaster Family Smiles may recommend that you receive a dental crown in Lancaster. Let’s explore more about dental crowns and how they can help you. Attaching it to a dental implant. Restoring a tooth that’s undergone root canal therapy. Protecting a weak tooth from the threat of fracturing. Helping a discolored tooth seamlessly blend within the rest of your smile. The procedure for installing a dental crown normally takes two separate visits to Lancaster Family Smiles. At your first appointment, we will make sure your tooth can support a crown, then begin filing it down to prepare for the crown’s placement. But, if a tooth is severely damaged or broken, your dentist may need to fill it in to create a stable foundation for your dental crown. 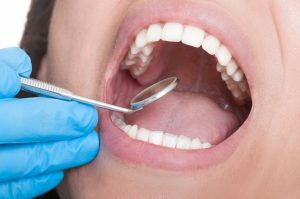 After the tooth is stable enough to place the dental crown, Dr. Gupta will take an impression of the tooth (as well as its neighboring teeth) and send that information to a dental lab. The lab will then create the permanent crown according to the information we collect. Don’t worry, your tooth will have a temporary crown that protects you from further discomfort until your custom crown is placed. At your second appointment, we will permanently place your custom dental crown. This dental restoration should last anywhere from five years to twenty-five years, giving our patients long-lasting, stable results! If you’re consistent and pay attention to the details of your teeth when it comes to your dental routine, your dental crown could last you a full lifetime! Contact us today to schedule a consultation and see if dental crowns are best for you.